During Christoph Eschenbach’s tenure as music director of the Ravinia Festival, it was a common criticism that Ravinia virtually ignored American music. If you wanted to hear symphonic works written by American composers during the summer, the perception was to head over to concerts of the Grant Park Orchestra, which had been making such scores its bread and butter for decades. Thus it came as a surprise that Eschenbach would be leading a program of American music this season at Ravinia. Even more surprising was the enormous affinity that Eschenbach demonstrated for this music, suggesting that we could have enjoyed some stellar concerts of this repertoire during the conductor’s Ravinia reign. Leonard Bernstein wrote West Side Story in a hurry, and due to his conducting schedule and composition commitments, he did not orchestrate the musical. Wanting to showcase what he heard in his imagination when he wrote the score and also allow the work to find a concert hall audience, Bernstein created a symphonic suite which has become an orchestral staple. The Symphonic Dances from West Side Story have been done countless times by the Chicago Symphony Orchestra, often sloppily by Eurocentric conductors who treated this score like pabulum without displaying a clue as to what was going on within it. With Eschenbach at the helm, every rhythm was spot on and forward-looking, giving the jazz flavor of the Prologue and the Cool sections a true sense of swing and the Mambo section real spice without veering into excess. Likewise, Eschenbach kept the strings and winds transparent and balanced during such familiar melodies as Somewhere. No less impressive was the punch and drive that Eschenbach and Tzimon Barto supplied for Gershwin’s Concerto in F, another work that is often performed as a toss-away, but whose rhythms and syncopations are notoriously difficult to negotiate. Both had the work’s Charleston rhythms in the opening and final movements down pat, and the quieter sections and give-and-take playfulness of soloist and orchestra really gave the piece the lift that is needed to work its special charms. It made sense to use Bernstein and Gershwin as a wraparound for Jennifer Higdon’s Concerto 4-3, a co-commission of the Philadelphia Orchestra that Eschenbach and the eclectic string trio Time for Three premiered there in early 2008. Like Bernstein and Gershwin, Higdon is concerned with forging a uniquely American sonority from seemingly disparate elements and traditions. It’s hard not be struck by the virtuosity and playfulness of Time for Three, who appeared as soloists traversing jazz, bluegrass and classical ambient music, their contagious energy and enthusiasm sometimes masking how little musical content and meaning was contained in this thirty-minute work. Much of the proceedings consist of Time for Three trading licks and cadenzas while the orchestra and conductor sit on their hands, wasted resources that make for a very expensive jam session. When the orchestra does enter, it is usually as static movie-music punctuation that has little to do with what Time for Three is doing. The one exception is a clever finale that begins with the Time for Three soloists trading licks in counterpoint with different orchestra members, which builds in layers and intensity to a fulfilling climax; would that the twenty-some minutes preceding this were nearly as engaging. For those who wanted more Gershwin, Barto offered a post-concert Martin Theatre recital. With Eschenbach as his page-turner, the pianist performed the three Gershwin Preludes and some Joplin rags to bookend two new winners of the Barto Prize, a composing competition that the pianist launched in his home state of Florida. Excellent review. I enjoyed the Higdon piece perhaps more than you did. I was very taken by the energy and enthusiasm of the Time for Three trio. I did notice that certain members of CSO were not as excited about sitting around waiting to play. Regarding the Martin performance, there much discussion on the bus about Mr. Barto’s competition pieces and his interpretation of Joplin. Someone wondered what the musical notation in the Baker piece is for plucking piano strings with your fingers. My wife suggested that only someone with long arms could even play the Baker piece. I wondered if the composer knew how tall Mr. Barto is and tailored his submission. Several people did not care for Barto somewhat dramatic rendering of Joplin’s rags. 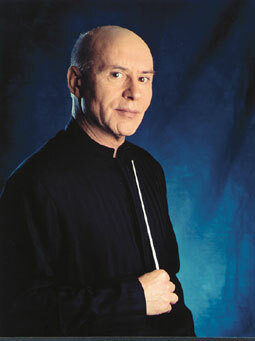 Maestro Eschenbach is very impressive as a conductor and page-turner. A very rare combination, indeed.